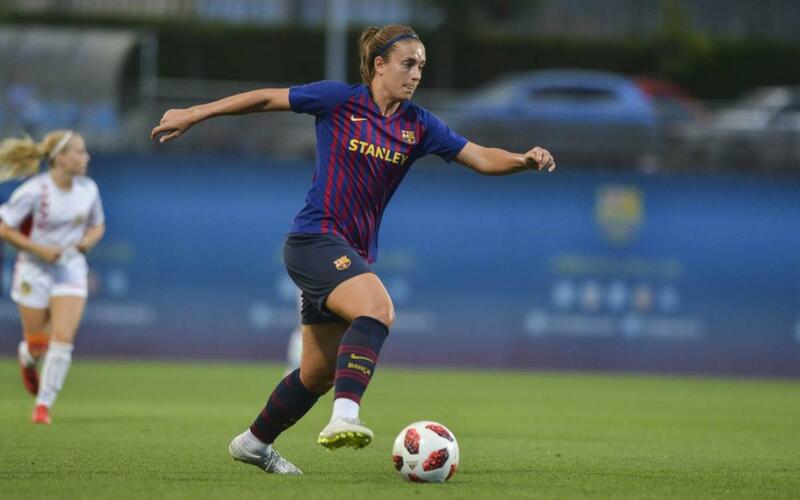 Ahead of weekend without a fixture due to the international break, the women’s team kept in shape by playing second division CE Seagull of Badalona in a Thursday night friendly. The players that are not off representing their countries were joined by Jana Fernández, Zaira Flores, Aida Esteve, Carla Armengol, Paula Gutiérrez and Teresa Morató of the reserves. Although the goals started flowing in the second half, with Alexia bagging a hat-trick, it was a competitive enough encounter, with just two goals separating the sides at the interval.